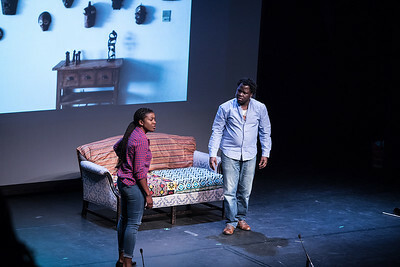 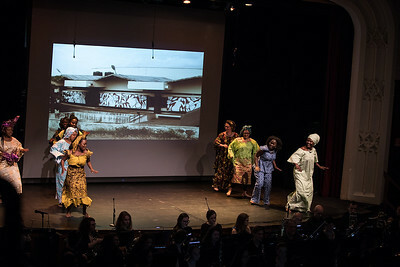 “Ìrìn Àjò,” a Yoruba phrase that means "life’s journey," is a world-premiere opera which tells the timely story of Nigerian engineer Káyò̩dé who travels to the United States in search of a better life. 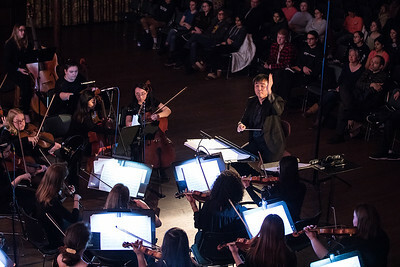 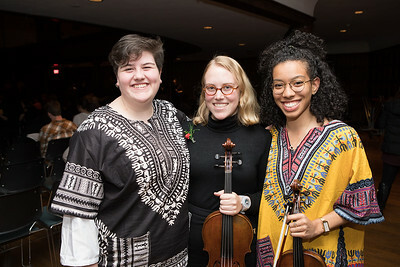 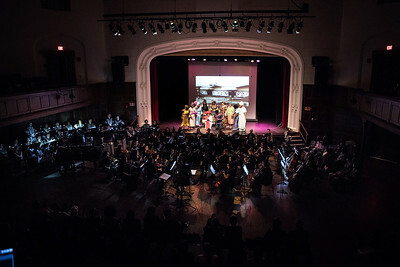 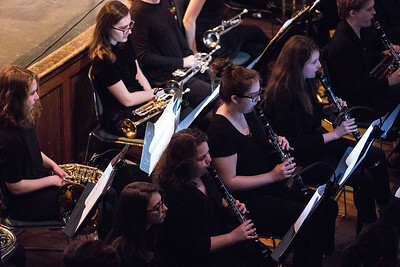 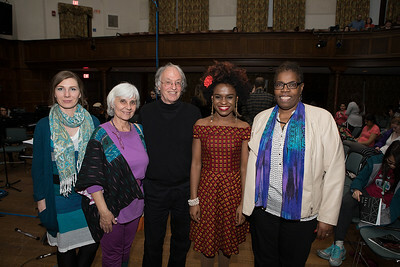 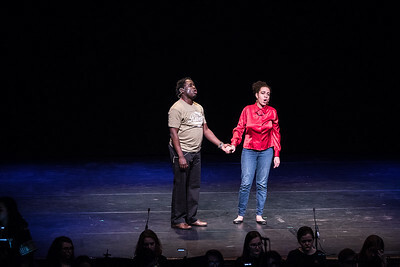 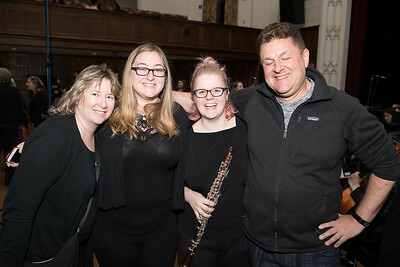 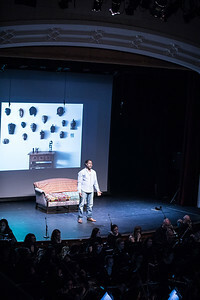 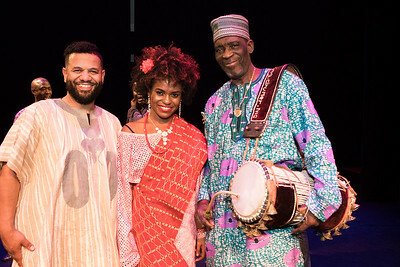 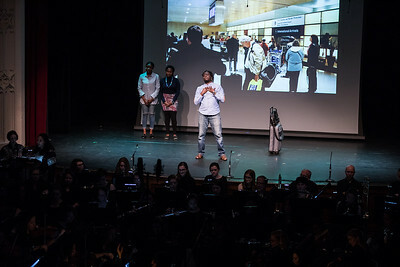 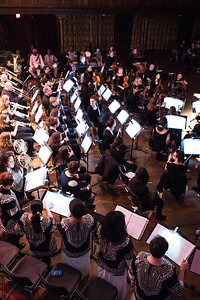 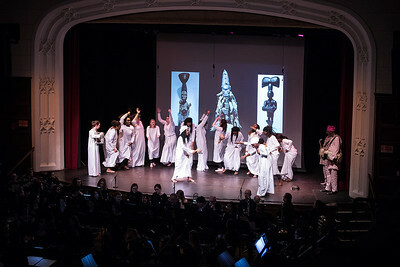 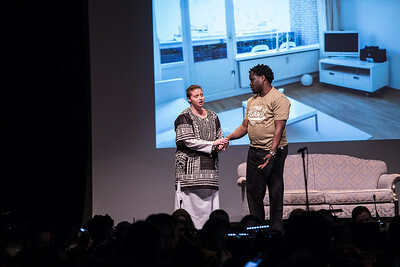 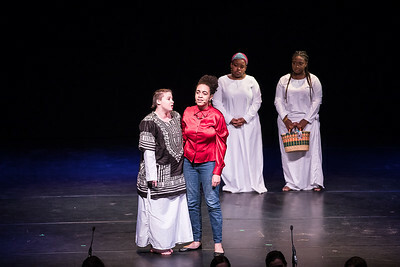 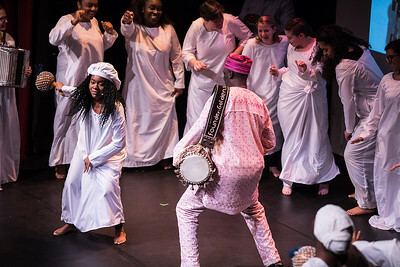 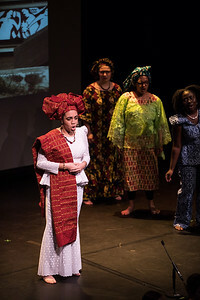 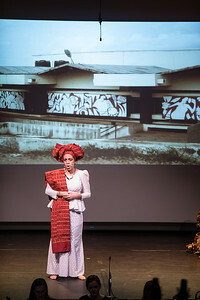 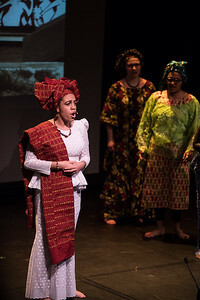 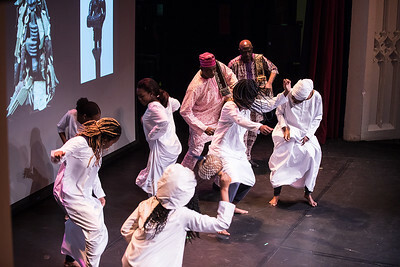 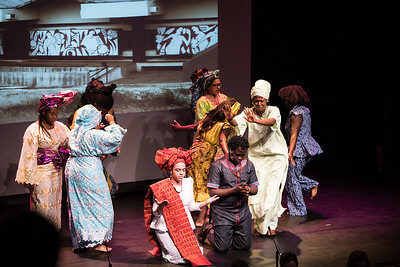 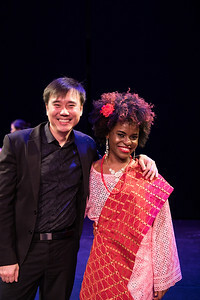 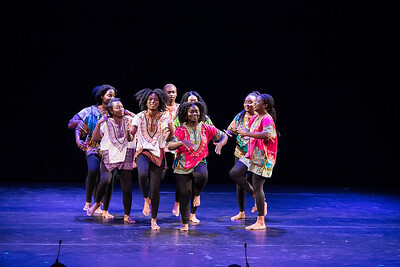 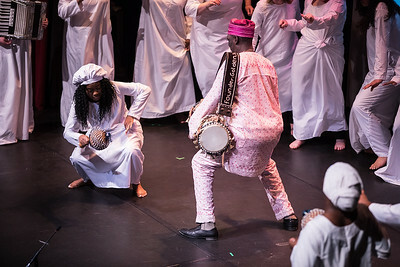 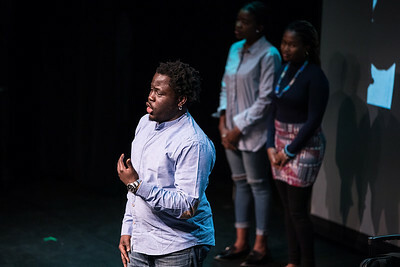 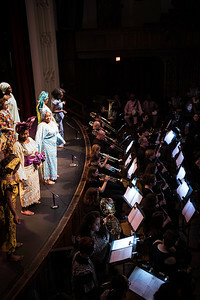 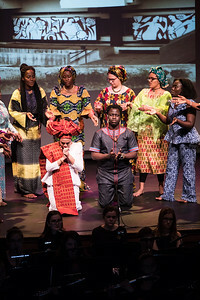 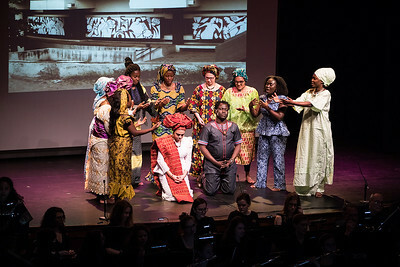 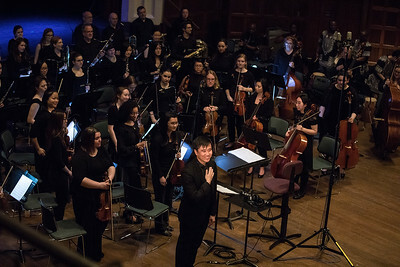 Directed by Five College Professor of Music Olabode Omojola, the performance featured for the first time the Mount Holyoke Symphony orchestra, an off-stage chorus of professionals and students, and New York-based African master drummers--all supporting the onstage cast of 29 students. 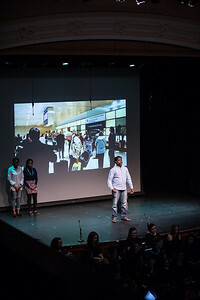 Four of the five campuses were represented in the cast/crew. 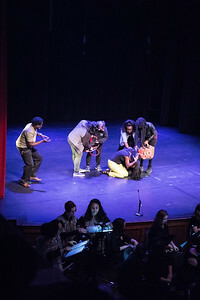 Photos by Joanna Chattman.